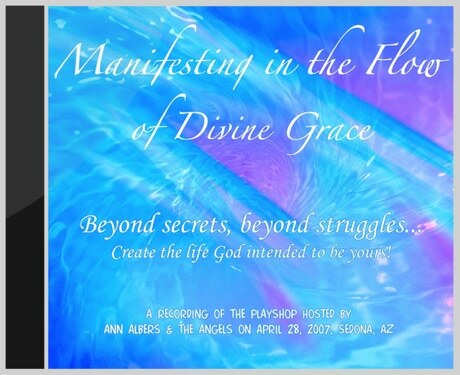 Join Ann Albers and her Heavenly Helpers as they guide you beyond struggles, beyond obsessing on what you think you need to be happy, and learn to manifest the life God wants for you! In this seminar you’ll learn the basics of manifestation and then how to use these tools to create the desires that arise naturally within your heart. JHave you ever wondered why some people seem to have everything come easily and some don’t? Would you like to have opportunities, stuff, and ideas come to you like magic? You may have learned manifesting… but not like this! Join Ann Albers and her Heavenly Helpers as they guide you beyond struggles, beyond obsessing on what you think you need to be happy, and learn to manifest the life God wants for you! In this upbeat, humorous, and educational play-shop you’ll learn to lighten up and let God help you create a life beyond your wildest dreams! Ann has been helping clients manifest their dreams now for years, and has guided over 1000 people through her manifestation seminars, and thousands more in personal sessions. Music by: Michael Hammer and Grady Soine • Used with permission.